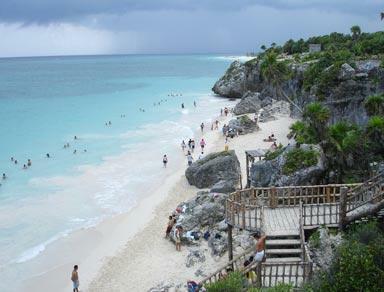 A 63 km al Sur de Playa del Carmen, Tulúm, Tulúm, Q.Roo.. 77760. 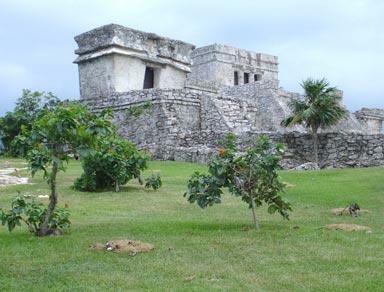 The name given to this ancient Mayan city means walled and notes the importance represented in its day of having to defend against external attacks. However, the ancient inhabitants called it by the name Zama, meaning dawn. 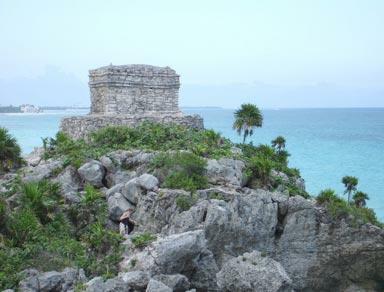 This surely is due to the fact that the site is built on the edge of a cliff overlooking the sea where the sun rising every morning is a unique spectacle. 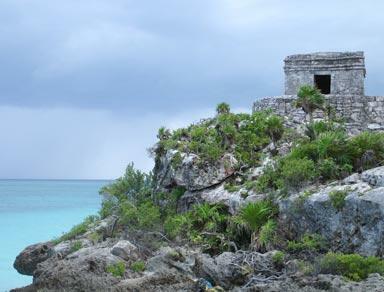 It is the most important archaeological zone of the state of Quintana Roo, and one of the best preserved sites nationwide. 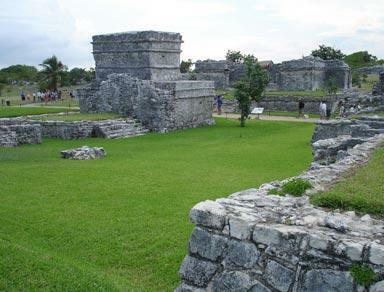 It is also recognized as one of the oldest set of ruins, since it was registered in 1518 by Juan Diaz, who compared it to the city of Seville in Spain. Hours are from 8:00 am to 5:00 pm, open every day.